Amid churning new accusations, explanations and evidence in the case of slain Saudi journalist Jamal Khashoggi, intelligence veteran Norman Roule said an attempted rendition or interrogation sanctioned by the Kingdom's leadership – rather than a state-directed assassination – appears for now to fit better with a known pattern of previous Saudi operations. "It's not unreasonable to think that Saudi leadership up to the crown prince were probably aware of a rendition or at least an interrogation," Roule said. "But the idea [that] a murder was approved by the crown prince of Saudi Arabia – I've seen no evidence for this. It's not in the DNA of their past operational activity." A career intelligence official who, before retiring last year, spent decades at the Central Intelligence Agency and Office of the Director of National Intelligence managing significant programs related to Iran and the Middle East, Roule spoke with retired Navy Admiral Sandy Winnefeld, a military and homeland security analyst for CBS News, on the Intelligence Matters podcast. Roule returned days ago from Saudi Arabia, where he had traveled for a previously scheduled conference, and where he said he had occasion to speak with senior officials and Saudi citizens about the Kingdom's converging domestic, military and diplomatic challenges, including the Khashoggi matter. "Almost to a man and woman," Roule told Winnefeld, "They are hurting because of this event…there is a bit of pain that the entire country of Saudi Arabia is being painted with this action." Roule said the information contained in press reports to date suggested the operation was "amateurish," and, he contended, at odds with the types of operations Saudis had recently conducted. "The Saudis have no recent history of engaging in assassination activity abroad," Roule said. "Even the alleged activities of the past are many, many years ago and may not have occurred." "They do have a history of renditions," he continued. "And this would support the statement that…this was maybe a botched arrest or rendition attempt or even interrogation." 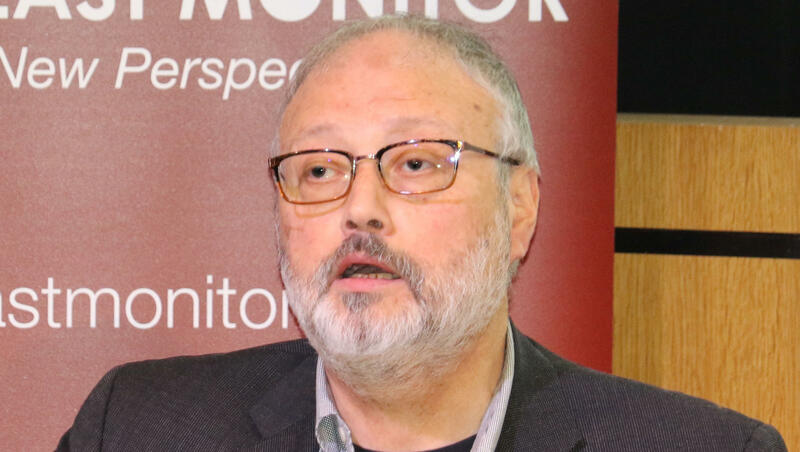 After initially denying involvement with and knowledge of the circumstances of Khashoggi's disappearance, Saudi officials said for the first time this weekend that the 59-year-old Washington Post columnist was accidentally killed in a physical altercation at the Saudi consulate in Istanbul, Turkey on October 2. The government fired five senior officials – including two advisers to Crown Prince Mohammed bin Salman – and arrested 18 other citizens as part of its ongoing investigation. Saudi authorities have repeatedly denied that Mohammed was involved in the plot. "This was an operation that was a rogue operation. This was an operation where individuals ended up exceeding the authorities and responsibilities they had," Saudi Foreign Minister Adel al-Jubeir said in an interview on Sunday. Turkish officials have repeatedly challenged Saudi Arabia's claims and, via a series of dramatically orchestrated media leaks, said that a team of 15 Saudi nationals traveled to the consulate, where they interrogated, murdered and dismembered Khashoggi. Early in the investigation, Turkish officials claimed to have audio recordings – thus far apparently unshared with the media or the U.S. government – that they said would prove their version of events. Turkey's president, Recep Tayyip Erdogan, suggested he would make more evidence public on Tuesday. "The incident will be revealed entirely," Erdogan said. CBS News confirmed that CIA Director Gina Haspel – who learned Turkish and worked in Ankara as a case officer earlier in her career – had flown to Turkey on Monday, ahead of Erdogan's expected remarks. As news of Haspel's travel broke, President Trump told USA Today in an interview he believed Khashoggi's killing was a "plot gone awry" and that he would be "very upset" if the Crown Prince were involved. "We'll have to see," he said. In previous comments to CBS News, Intelligence Matters host and senior national security contributor Michael Morell said the competing narratives from the Turks and Saudis could only be reconciled if both nations shared the information they had collected with the United States. "We need the Turks to share with us whatever information they have," Morell said on CBS This Morning last week. "The Saudis need to share with us what they have. And then we need to collect our own intelligence so that we can corroborate whatever the Turks and Saudis are telling us." "It's only when we have all of that information that the intelligence community will be able to tell the president with any sort of confidence what we think happened inside that consulate," Morell said. He stressed his belief that any Saudi official, no matter how senior, found to be involved in the operation or its cover-up would have to be held accountable. Both Roule and Mike Vickers – the Pentagon's former top intelligence official, who spoke with Intelligence Matters last week – said once a full set of facts emerged, the Trump administration would have to take steps to send a clear and unequivocal message to Riyadh. "If [Khashoggi] turned out to be murdered in a gruesome way then there has to be some consequences for that. And the administration has to put itself on the right side of that issue," Vickers said. "The punishment provided to those who are deemed to have been involved must be severe and significant," Roule told Winnefeld on Monday. "The Saudis understand this is something that cannot be repeated, and that procedures must be put in place to assure it can never be done again." Ret. Adm. Sandy Winnefeld will be guest hosting a few episodes of Intelligence Matters in the coming weeks while Michael Morell is away on travel. For much more from Sandy Winnefeld's conversation with Norman Roule, you can listen to the new episode and subscribe to the podcast here.